Dumb Friends League Solutions – Veterinary Hospital. 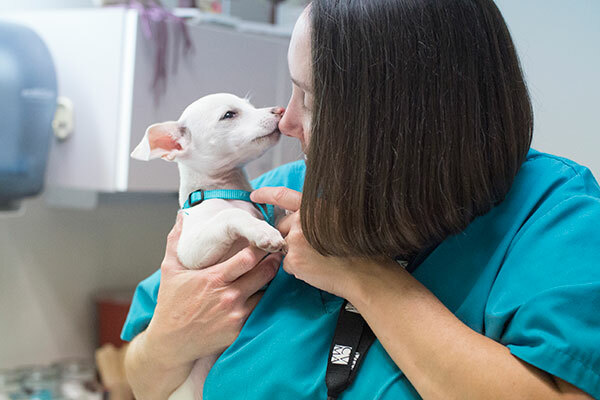 For more than 20 years, PetAid Animal Hospital (formerly Harrison Memorial Animal Hospital) has provided veterinary care to underserved pets in the Denver metro community. You may know that in 2007, visionary CVMA leaders saw the value of providing veterinary care to pets of owners in financial distress. At that time, the Colorado Veterinary Medical Foundation (CVMF) was created as the charitable arm of CVMA to take over the operation of Harrison Memorial Hospital and provide donor-supported veterinary care to income-qualified pet owners. 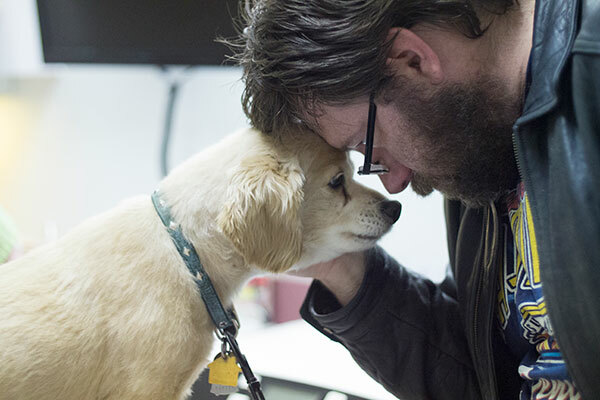 In 2012, the hospital became PetAid Colorado and it has demonstrated the value to the community of providing access to care for pets and people in need. In its time, PetAid has provided donor-subsidized care for tens of thousands of pets – nearly 14,000 in 2017 alone. Over the past several years, the demand for PetAid’s income-qualified services has increased dramatically, a trend we expect to continue. We estimate that there are 240,000 pets in the Denver metro area alone that are owned by those who cannot afford even basic veterinary care for their dogs and cats, let alone emergency or critical care. As the need grows, so does the demand for services — an ever-escalating scale of time, money, effort, and resources. When CVMF was founded over a decade ago, no one could have foreseen the tremendous impact it would have on the community. And as proud as we are of the incredible strides we have made, we now find that the demand is far surpassing the ability of PetAid Colorado’s donor-subsidized, income-qualified model to meet it. 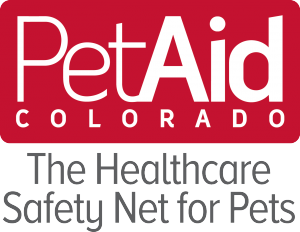 Together, the Dumb Friends League and PetAid Colorado are sharing the news that in October 2018, PetAid Colorado will become the Dumb Friends League Solutions – Veterinary Hospital. DFL-SVH will continue PetAid’s charitable mission to offer care to underserved populations with the most critical need. Both the Dumb Friends League and PetAid Colorado believe that the League’s organizational strengths, coupled with its longstanding commitment to alleviating animal suffering, make it an excellent organizational home to meet the urgent need of continuing to provide access to veterinary care for pets of owners in financial distress in our community. The Dumb Friends League promotes the value of veterinary care and will continue the effective care model that PetAid has pioneered to prevent suffering and relinquishment. 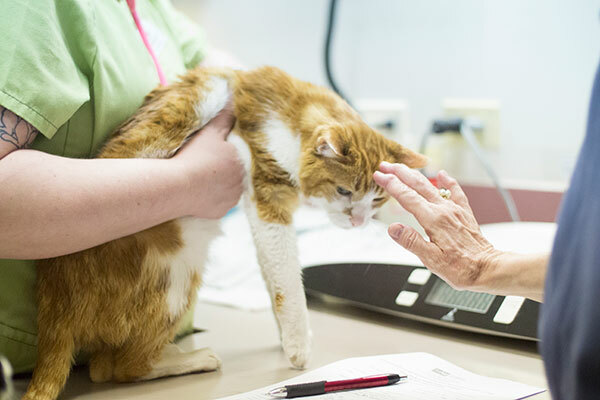 Both CVMA and DFL know that pets live longer, healthier lives when they receive veterinary care, and that they are more likely to stay in their homes and not be released into the community or shelters. The health and welfare of pets and their people without financial resources is important to all of us. If you are a referring DVM, please continue to follow the current referral process to the hospital to ensure your patients’ needs are met. If you make use of PetAid Care Grants, please continue to submit your requests to CVMA, and contact the office at 303.318.0447 if you have questions on the status of this program. We are excited to continue this life-transforming work. Be on the lookout for more updates in the coming weeks. PetAid Animal Hospital helps income-qualified clients when they cannot afford the care their pets desperately need. Donor-subsidized, generously discounted fees make it possible to end suffering and avoid relinquishment. PetAid Animal Hospital is AAHA-accredited. The PetAid DVM Referral Program exists to assist your clients in need of financial assistance for veterinary care beyond their means. Referred clients who are deemed to be in financial need and unable to afford the full cost of a necessary procedure or treatment will be accepted as a PetAid client at a discount level of 50% based solely on your referral. 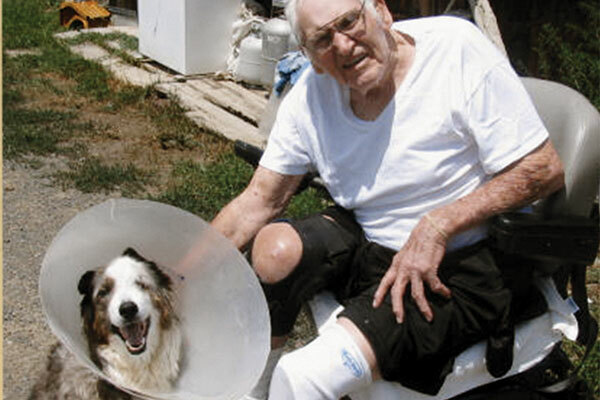 PetAid Care Grants provide you as a rural or frontier county practitioner the funds to supplement charitable care for your patients and owners in need, supporting a one-time surgical or medical intervention for a pet with a good prognosis. PetAid Community Outreach takes veterinary care to the most vulnerable pet owners who can’t access in-clinic care because of disabilities, lack of transportation, or homelessness. We rely on volunteer veterinarians and technicians to make this program possible and welcome your participation.